BET Networks announced that it has licensed an extensive package of iconic, successful off-net programming from Warner Bros. Domestic Television Distribution. And the off-network programming are '90s sitcoms! 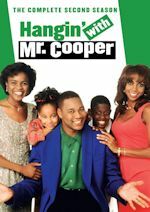 The series, which features such world-recognized and award-winning actors such as Will Smith, Jamie Foxx and Martin Lawrence, includes The Fresh Prince of Bel Air, Family Matters, Martin, The Jamie Foxx Show and The Wayans Bros. to air on BET and Centric. In addition, Viacom sibling Nick at Nite has retained the rights to continue airing Full House, while another sibling, MTV2, has acquired the rights to air Living Single. As for the current schedule, Family Matters already started airing on BET earlier this month, as we previously mentioned. 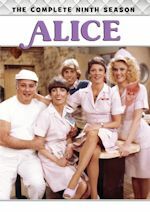 The sitcom was borrowed from sister network Nick at Nite and has made the move to BET. 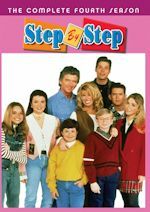 In regards to the other sitcoms we mentioned, Martin currently is on sibling MTV2 (shared with TV One), while The Jamie Foxx Show and The Wayans Bros. have already been airing on BET/Centric for sometime now, so these are more renewals than anything. 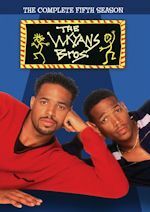 The Wayans Bros. sometimes even pops-up on sister net MTV2. Martin will start on BET/Centric soon and it will be exclusive to BET Networks in the next few years (by Fall 2015), Barbara Zaneri (Executive Vice President, Program Strategy, Scheduling and Acquisitions, BET Networks) tells us. Stay tuned for updates on that. The real new deal for BET/Centric is for The Fresh Prince of Bel-Air. Currently, it is not airing on any Viacom-owned network, as it is airing on TBS and ABC Family. Barbara Zaneri has told us exclusively that The Fresh Prince of Bel-Air will be exclusive to BET Networks and Viacom Media Networks and will begin airing in Fall 2014. MTV2 also has a brand new deal. It has acquired Living Single, which like Fresh Prince, is currently not on a Viacom-owned network. 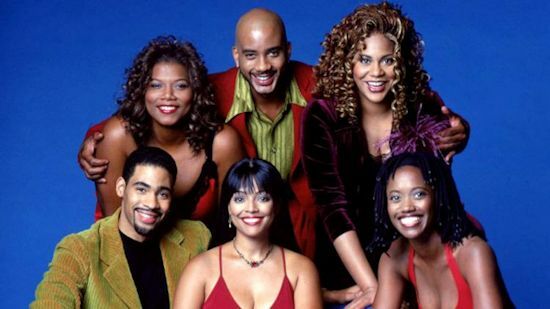 Living Single currently airs on TV One and we'll have news on its launch date on MTV2 shortly. Barbara says it won't pop-up on BET/Centric for now, but she loves the show, so you never know. Like Martin, Fresh Prince, Barbara tells us the series will be exclusive to BET/Viacom Networks. And finally, Full House is a renewal for Nick at Nite (it's being shared with ABC Family), so you'll continue to see that in primetime on Nick at Nite. We're not sure if this renewal will be now exclusive to Viacom, but we'll find out soon. Stay with us as we will bring you premiere dates and the schedule for these shows (especially Fresh Prince and Living Single, since they are brand new deals) on BET, Centric, and MTV2. There could be more shows in this deal, but these are a lot of shows and deals. We mentioned Roc to Barbara, since that would go well with The Jamie Foxx Show, since Jamie had a recurring role on that series. Special thanks to Barbara Zaneri for all key exclusive and launch information! ABC has announced its season finale dates for 2012-13 series. The finales begin this Friday (Friday, March 22) with the season finales for sitcoms Last Man Standing and Malibu Country beginning at 8pm. Look for our reviews of both tomorrow before they air! Happy Endings will then move into the hour with back-to-back episodes for at least the next three weeks (March 29, April 5, and April 12). The Neighbors wraps up its freshman season next Wednesday (March 27) at 8:30pm, as we knew. Then the remaining finale dates are new news. Suburgatory, which moves back to 8:30pm on April 3, will conclude its second season on Wednesday, April 17 with a 2-episode finale starting at a special time of 8pm. The remaining season finales will air in the May sweep primarily, with Wife Swap (which has its season premiere tonight) on Thursday, May 2 at 8 (summer series Wipeout premieres May 9). The other ABC Thursday finales will be on Thursday, May 16 with Grey's Anatomy at 9 and Scandal at 10. On to Sunday, new drama Red Widow will conclude on Sunday, May 5 at 10 (if it doesn't get pulled due to low ratings). The big Sunday guns of Once Upon a Time and Revenge will end their seasons the following week on May 12 from 8-11pm, with Revenge having a two-episode finale from 9-11pm. America's Funniest Home Videos will conclude its season on the final Sunday of the season on Sunday, May 19 at 7pm (leading into the Billboard Music Awards). New celebrity competition series Splash, which premiered to good ratings this week, will end its first season on Tuesday, May 7 at 8pm. Dancing with the Stars will end its season with a two-night finale event, with The Finals airing Monday, May 20 from 8-9pm and The Finale on Tuesday, May 21 from 8-10pm. No word what will air May 14 at 8 or May 21 at 10 (the latter could be regularly scheduled Body of Proof as usual, but I don't think it will be). Speaking of Body of Proof, it will have its season finale the following Tuesday on May 28 at 10, which is the first Tuesday of the summer. Back to Monday, Castle will have its season finale on Monday, May 13 at 10, since The Bachelorette will premiere May 20 from 9-11pm, as previously announced. On Friday, May 17, Shark Tank will end its series high 26-episode season at 9pm. Happy Endings is scheduled for Fridays at 8, but that is just for three weeks, as of now. ABC could opt to air it Wednesdays at 8:30pm for May sweep to finish off its remaining four episodes, however ABC had previously announced new sitcom Family Tools for that slot, though we haven't heard anything more on it since. They could air that series in the summer instead. Back to the finales, ABC ends the season with the Wednesday finales on Wednesday, May 22: The Middle at 8, Modern Family at 9, and freshman drama Nashville at 10. ABC will premiere How To Live with Your Parents on April 3, but no finale date has been announced yet, but it will likely be on May 22, too. That would mean that only 8 episodes will air out of its 13 episode order, but ABC could hold on to the remaining five for next season, should it do well in the ratings. View the ABC 2012-13 season finale dates. That's it, stay with us for further information as always!